Acne, and specifically adult acne, is recognized not only as a medical condition but also a viable skin care market sector with acne products increasingly targeting this demographic. 65% of European men consider their appearance important and almost half (48%) of U.S. men admit that competing effectively in the workplace and in social situations requires them to take care of their skin and their looks. It is therefore not surprising that Mintel, a Chicago-based research firm, has predicted that by 2016 in the US alone the men’s skincare market could grow to $3.2 billion in sales, with global sales reaching $33.2 billion in 2015. Europe and Asia are leading the growth of this sector with up to 19% sales rate increase per year while the U.S. market grows over 9% yearly. To more aggressively participate in this exponentially growing male market, Herborium® Group has retained Danny Gimondo (former WWE wrestler, Danny Inferno) as a spokesperson. Danny, who has successfully used AcnEase® to deal with his chronic acne, has extensive performance records and fan following in the USA, Europe, Asia, Central America and Asia, is eager to serve as a spokesperson for this one of a kind all botanical acne treatment. In addition to his wrestling career, Danny stared in the motion picture “The Wrestler" (2011), National Geographic Channel's feature "Slammed: Inside Wrestling" (2012) and was a stuntman in WWE Raw vs. SmackDown (2007 video game). He is a certified personal trainer by the National Academy of Sports Medicine and a member of the American Association of Exercise Physiologists. 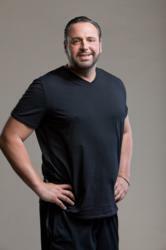 Danny also holds a degree in Exercise Science, Health Promotion Fitness Management. AcnEase®, a clinically validated, all botanical based acne treatment which is gluten, sugar and phytoestrogens—free, is an ideal product to meet the demands and preferences of the male market. Unlike many general acne products that are designed to target women, and include estrogen or phyto-estrogens, or involve time consuming topical routines, AcnEase® is an oral tablet that contains only all natural herbal extracts. AcnEase® helps the body to regulate the impact of androgen hormones on sebaceous gland secretions; in particular the analogs of testosterone, (DHT) and (DHEAS) which are thought to have the most dramatic impact on sebum production and are believed to be the main cause of acne. AcnEase® sales to male consumers grew 25% during 2012, and an additional 15% during the first five months of 2013. Herborium Group, Inc., a Botanical Therapeutics® company, focuses on developing, licensing, and marketing proprietary, botanical based medicinal products to consumers and healthcare professionals. The Company uses clinical validation to establish and maintain a differential advantage, and sells its products in the US and Europe. For more information, please visit http://www.herborium.com, and http://www.acnease.com.